Compliment your beautiful home with the Made in America craftsmanship and comfort of our Palance Marble Loveseat! 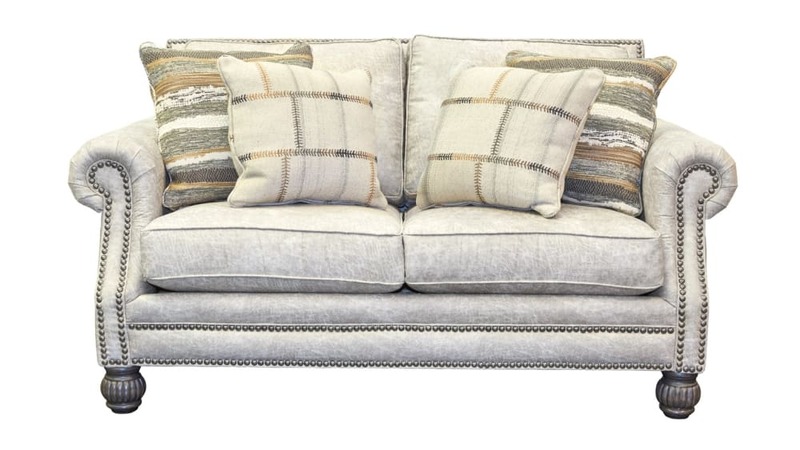 Stunning nailhead accents perfectly accentuate the warm and neutral upholstery, making it the perfect addition to any room in your home! By choosing this sofa for your home, you are supporting the creation of jobs for Americans, and ensuring a lifetime of comfort for you and your loved ones!